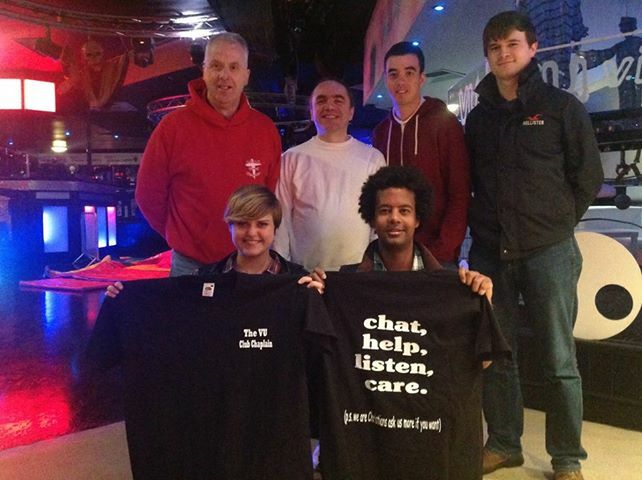 Club Chaplains work in VU Nightclub on Cowgate in Dundee city centre and offer a listening ear to those on a night out. This is the first of its kind in Scotland and is modelled on Club Angels which launched in Leeds in 2011. See below for the press release and do say hello to us next time you are in VU!!! Club Angels are at work across the UK - see the website. Chaplains will soon be heading to one of Dundee's biggest nightclubs. 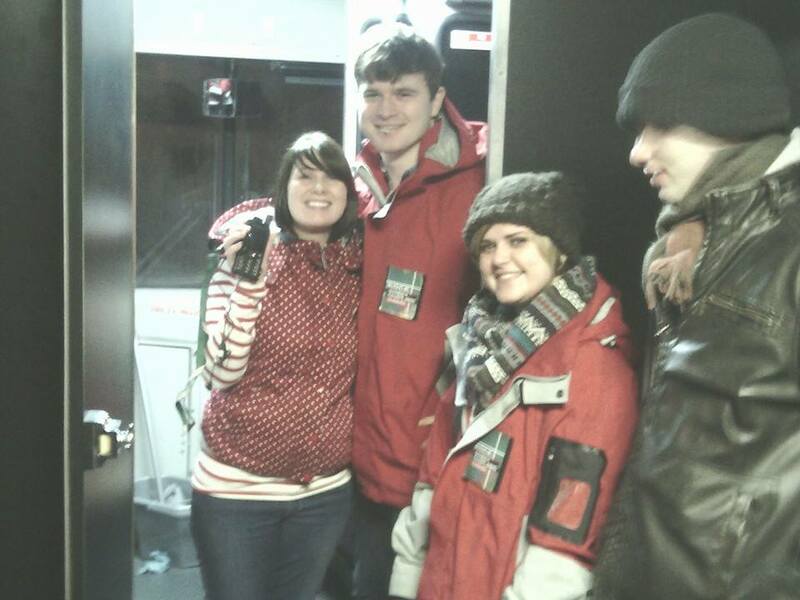 The team, an extension of the popular Street Chaplains who patrol the city three nights a week, have partnered with the The-Vu nightclub on Cowgate to offer a listening ear to those on a night out. 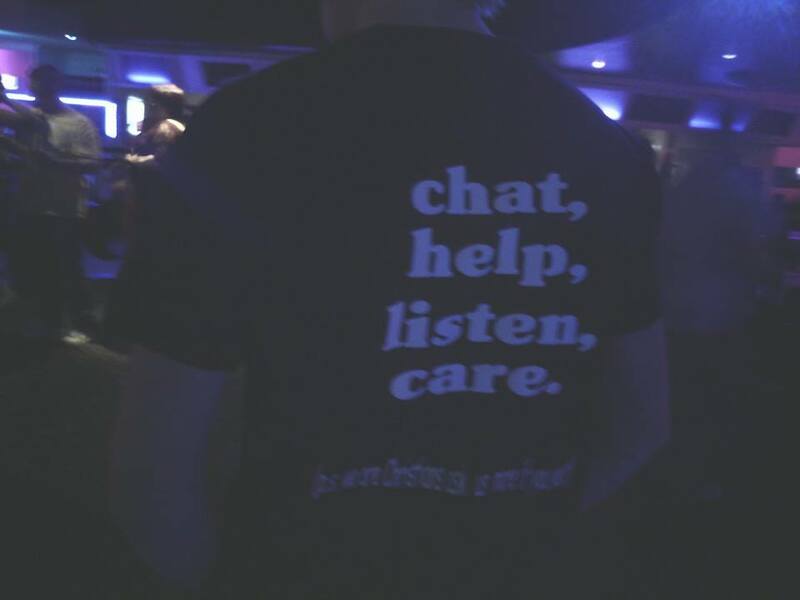 Wearing t-shirts which say "Club Chaplains - chat, help, listen, care - p.s. we are Christians ask us more if you want" the project is the first of its kind in Scotland and is modelled on Club Angels which launched in Leeds in 2011. Andy Burns, the coordinator of Dundee's Street and Club Chaplains, explains, "We are not in the club to preach at people but simply offer a listening ear and a helping hand. For us it is about demonstrating that God loves people and that means caring for those who have become unwell, or may be upset or vulnerable, and in need of a friendly face and a helping hand." Club Chaplains Dundee are linked closely with Leeds Club Angels who are now an integral part of the staff team of two of Leeds busiest nightclubs. The clubs regularly report lower levels of violence and aggression, as well as a better atmosphere when the teams are there. Paul Blakey MBE, founder of Christian Nightlife Initiatives Network who are providing support and resources to Dundee's Club Chaplains, comments, "I have seen the impact of Club Angels in Leeds first hand and know that having people in the club who care and support those who are vulnerable has a massive impact. The fact that those who work in the nightclubs report a less aggressive atmosphere when our teams of volunteers are working and praying means that people's night out is a better, more positive experience." Pete Harvey General manager commented “ We are delighted to be working with Andy Burns and the Club Chaplain team. The VU has been consistently at the forefront of customer initiatives & in some cases leading the way for other Scottish Clubs. This project keeps the Scottish nightclub of the year right at the front of Customer safety & the chaplains will be a welcome addition to our Customer safety intervention plan within the club & we are very excited about the project & I am sure the VU customers will make Andy and the club Chaplains more than welcome”. Club Chaplains will be in Dundee's The-Vu Nightclub on Friday nights and it is hoped that this will become a template for similar schemes across Scotland.